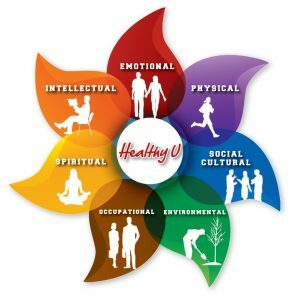 holistic health – Heart Health We all know how important it is to get our daily exercise and nutritional servings for not only heart health but overall health. About 652,091 die of heart disease in the United States each year, according to the Center for Disease Control report. This is approximately 27% of all deaths, and if nothing is done to educate people, this trend will continue. It is time to grab control of the reins and learn to take one step each day towards better health. According to The Institute of Heart Math, after years of study, it is suggested that the activity of the heart is indeed associated with emotions, health, vitality and well-being. The Heart Math institute found that there are certain rhythms associated with varied emotions. And once an emotion is sent as a signal to the brain, the brain in turn responds back accordingly, which influences the heart to also respond accordingly. Each emotion has its own rhythm. Anger, sadness, frustration, all produce erratic heart rhythms which in turn send negative signals to the emotional centers of the brain. Research has concluded that those who often experience frustration or irritation are those most at risk for heart disease. However, there’s a flip side to this story. Emotions of love, appreciation and compassion produce harmonious rhythms which equate to a happy heart, great cardiovascular health and overall health. Recall a memory from the past that is associated with a feeling of love, appreciation, care or warm and fuzzy experiences. It is important to find the feeling and stay with that, rather than just the memory of the feeling. Awaken the Healer Within is a Holistic Health Practitioner program to help educators and students of holistic health learn about thoughts, feelings, brain function, quantum physics and ancient wisdom in order to recreate life experience for self and others on a whole new level.